If you’re installing a new pool, welcoming a new member of the family, or your system is no longer meeting your current electricity needs, expanding your solar power system can be a great way to handle increasing electricity bills and maximise your current savings. Whether it’s financially viable or not will depend on a number of factors including your current inverter size, feed-in tariff, and energy usage. If your current solar system’s inverter capacity is greater than the capacity of your solar panels, you may be able to add more panels. With good quality European inverters you can oversize the array by up to 33%, maximising the output of the inverter for longer during the day. For example, if you have a 3kW inverter with 2kW of panels, you may be able to add another 2kW of panels. This may be your best case scenario financially, as adding only solar panels to your system will not come at a very high cost. 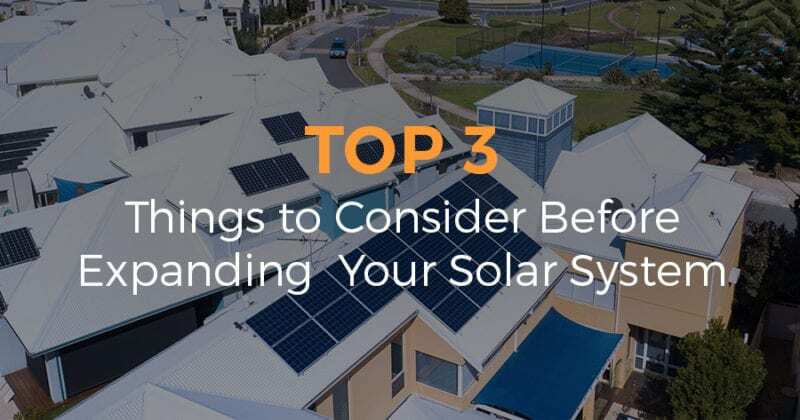 However, this is dependent on your system being installed after September 2012, and your existing inverter remaining on the Clean Energy Council’s Approved Inverter List. If you’re adding panels to an existing string (rather than utilising a free/unused channel in the inverter) they should be of an equivalent/compatible model, as solar panels working in a string only perform as well as the lowest wattage panel. For example, if your current string is comprised of 245W panels and you connect additional 260W panels, your new 260W panels will only produce 245W. This is sometimes unavoidable, and is not a problem as long as you are provided with a realistic production estimate for the new panels. At Infinite Energy we recommend against adding 245W panels to a string of 260W panels as the new panels would bring the performance of all your existing panels down significantly. And finally, you’ll also need to ensure you have sufficient room on your roof to install the additional panels, and that their positioning won’t compromise the overall performance of the expanded system. In this scenario you could upgrade to a 5kW inverter and an additional 2kW-3kW of panels. Your new and existing solar system systems will operate side by side. Typically, residential properties in WA have a maximum total inverter capacity of 5kW so they remain eligible for the Synergy feed-in-tariff. However, if your electricity usage is so high that you’re exporting little to no energy to the grid, your feed-in tariff has very little to no value anyway. In order to maximise your savings, it’d be more beneficial to expand your solar system over 5kW, lose the REBS, and cover more of your electricity demand. 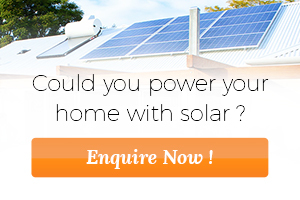 Your feed-in-tariff agreement is determined by the inverter capacity your home has been originally approved for. Therefore, if you are on the $0.20 or $0.40 feed-in-tariffs and already enjoy substantial credits, it may be possible to further significantly increase your credits by utilising any spare capacity in the inverter (so long as it is still on the CEC approved inverter list). In most cases, even if your inverter is no longer approved, there will be options to keep your feed-in-tariff and increase your generation capacity, including adding panels. If you are on the current $0.07 feed-in-tariff, are not making much in credit or still have high bills coming through, both options in scenario two above will be available to you. If you’re currently exporting over 50% of your solar energy back to the grid, it’s probably not worth upgrading your system. (That is, unless you are on the old 40 cent feed-in tariff, in which case it’s in your best interest to overload your solar panel array to maximise the output of your inverter.) If you aren’t on the old 40 cent feed-in tariff, you maximise your savings when you use all the electricity generated from your solar system, and minimise your purchase of costly grid power. Unless you’re about to go through a significant lifestyle change, for example starting to work from home, upgrading your system will only increase the amount of energy you export to the grid, it won’t increase the efficiency of how you use your solar energy. If your system was installed before September 2012, you’ll need to ensure your system is up to current standards. Before deciding whether or not to expand your system, it’s important you fully understand the costs associated with upgrading, and in particular how long it will take based on these additional savings to offset the cost of upgrading. Infinite Energy will provide you with a full financial analysis to help you understand the pros and cons of expanding your system, and provide you with the best possible technical and financial solution to suit your energy needs. Book your no obligation consult today!